What’s new in indoor-outdoor living? High-performance Nuvella® fabric. 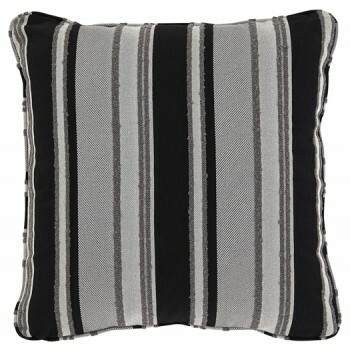 Soft to the touch and a breeze to clean, this indoor-outdoor Nuvella® pillow brings high style wherever you please. Posh pinstriped pattern showcases subtle shades of black, tan and cream for an easy-elegant aesthetic.